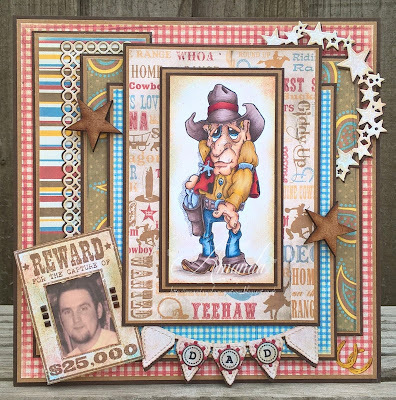 Amanda's Colour Creations: Happy Father's Day!!! Happy Father's Day to my Daddy and i love you so much!! 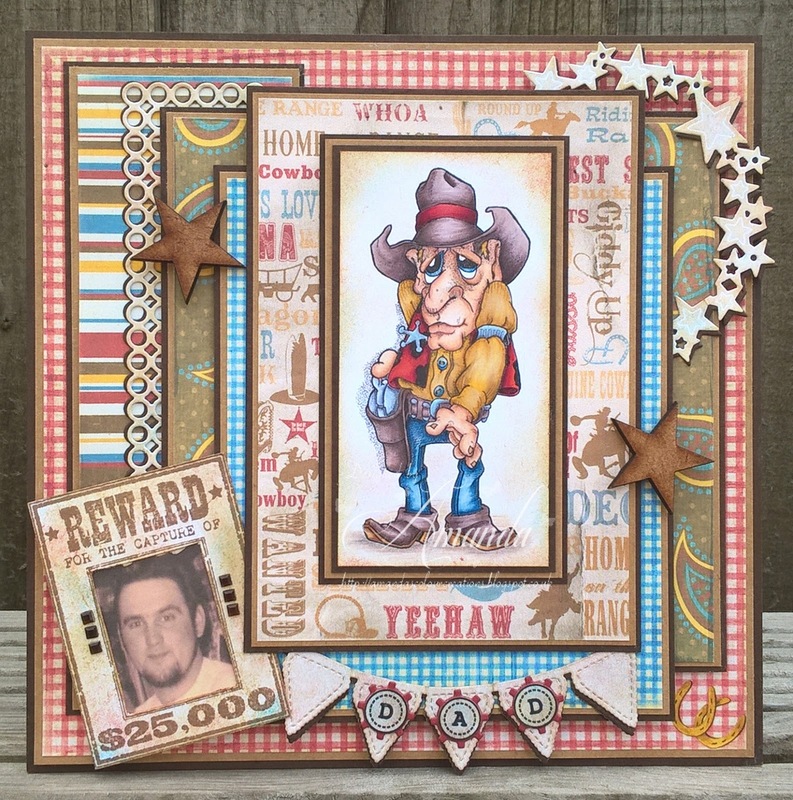 I decided to do my Father's Day Card in this challenge with lot's and lot's of Layer's. The finished card weighs quite a bit so it's a good job it is getting hand delivered lol. 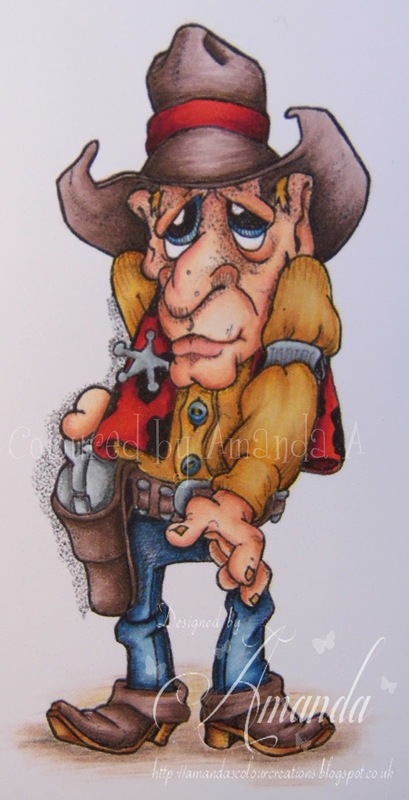 The image i used is Texas Ranger and i love him!! The Reward Poster was made with a Rubber Stamp what was in a free set with Creative Stamping Magazine from That Craft Place Ltd. The photo i have used is my Daddy in his Younger Years. Dies used are Memory Box and Joy Crafts. Head over to the Blog to see what the rest of the Amazing Design Team have made. Fabulous coloring, Amanda! I'm so delighted that you chose to play in our "Cows" challenge at QKR Stampede this week. Good luck and come play with us again next time, won't you? If we can say dad was wanted for cattle rustling on the Wanted Poster I think we can allow it. LOL It is a wonderful card. Love your card! Awesome job with the coloring, and love the layers! Thanks for joining us this week at Loves Rubberstamps! Wow! Awesome card and such fabulous coloring of this super cute image! I'd say the cows are implied, seeing as how he's a cowboy, right? I LOVE it and I bet your dad loved it, too! It's so great to see this in our QKR Stampede Cows challenge! Thank you for joining our “Masculine” Challenge this week at Die Cuttin’ Divas. Fantastic card! 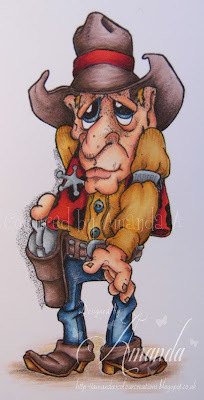 I love the western theme and the fun image. So cool that you added your dad's pic to make this so personalized! Thanks for joining our challenge over at Loves Rubberstamps! This is such a great card. Love all the layers. Thanks so much for joining us over at the Art by Mi Ran Challenge Blog.